For newly diagnosed patients with advanced non-small cell lung cancer (NSCLC) without targetable driver mutations, the standard of care for many years was platinum-doublet chemotherapy. Recently, however; immunotherapy with PD-1 inhibitor pembrolizumab, either alone (for patients with PD-L1 expression over 50%) or in combination with platinum-based chemotherapy were approved as new standard for first-line treatment options for nonsquamous and squamous NSCLC. At the 2018 European Society for Medical Oncology (ESMO) Congress, Federico Cappuzzo, MD, PhD (AUSL della Romagna, Ravenna, Italy), presented results from the randomized phase III IMpower130 trial (N = 679), which compared atezolizumab plus carboplatin/nab-paclitaxel followed by atezolizumab maintenance to carboplatin/nab-paclitaxel followed by best supportive care or pemetrexed in chemotherapy naïve patients with advanced nonsquamous NSCLC. Patients with EGFR or ALK mutations were allowed on this study but were not included in the primary endpoint analysis (ITT [intention-to-treat], wild-type [WT] population). At a median follow-up of 19 months, the addition of atezolizumab to first-line chemotherapy resulted in a significant improvement in median progression-free survival (PFS) (7.0 months vs 5.5 months; HR 0.64, P<.0001). The 1-year PFS was 29.1% in patients receiving atezolizumab plus chemotherapy compared to 14.1% in patients receiving chemotherapy alone. The PFS benefit of atezolizumab was consistent across patient subgroups, including in patients with low or no PD-L1 expression. Furthermore, atezolizumab plus chemotherapy resulted in a clinically meaningful 4.7-month improvement in overall survival (OS) compared to chemotherapy alone (18.6 months vs 13.9 months; HR 0.79, P = .033). OS favored atezolizumab in all subgroups, with the exception of patients with baseline liver metastases (HR 1.04). The objective response rate (ORR) was 49.2% in the atezolizumab plus chemotherapy group, compared to 31.9% in the chemotherapy alone group, with median duration of response of 8.4 months and 6.1 months, respectively. A secondary analysis evaluated PFS and OS in the population including patients with EGFR and ALK mutations (ITT population). Historically, these patients have been poorly responsive to immunotherapy, and immunotherapy is currently not recommended as first-line treatment for these patients. Also, subgroup analysis from this trial suggests there is no benefit from addition of atezolizumab to chemotherapy in patients with EGFR or ALK genomic alterations and that benefit of the atezolizumab combination seen in ITT population was mostly driven by WT population. The adverse event (AE) profile associated with atezolizumab plus carboplatin and nab-paclitaxel was manageable and consistent with the known safety profile of these agents. Treatment-related grade 3/4 AEs occurred in 73.2% of patients receiving atezolizumab plus chemotherapy and 60.3% of patients receiving chemotherapy alone. AEs of special interest were predominantly immune-related (irAEs) and occurred in 35.5% of patients receiving atezolizumab plus chemotherapy and 14.7% of patients receiving chemotherapy alone. The most common all-grade irAEs associated with atezolizumab included hypothyroidism (14.8%), pneumonitis (6.6%), and hyperthyroidism (4.9%). Dr Cappuzzo concluded that these results support the combination of atezolizumab plus chemotherapy as a first-line treatment for advanced, nonsquamous NSCLC. 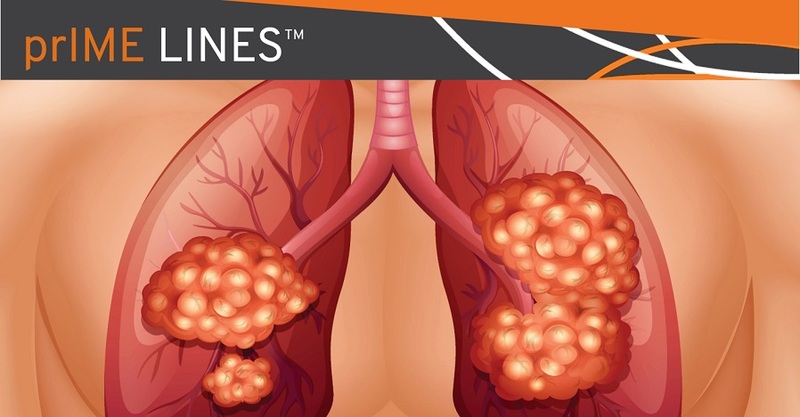 The role of first-line atezolizumab in combination with chemotherapy in advanced nonsquamous NSCLC was confirmed by the IMpower132 trial. In this study, the addition of atezolizumab to platinum/pemtrexed chemotherapy resulted in a significant improvement in PFS (7.6 months vs 5.2 months; HR 0.60, P<.0001) and a trend towards OS benefit (18.1 months vs 13.6 months; HR 0.81, P = .0797). Highest benefit was observed in Asian patients, never smokers, those over 65 years in age, and those who did not have liver metastases. In his excellent discussion of these studies, Benjamin Besse, MD (Gustave Rousy, Villejuif, France), highlighted that these atezolizumab plus chemotherapy combination studies provide further proof that immunotherapy plus platinum-based chemotherapy is now the standard of care for newly diagnosed patients with advanced nonsquamous NSCLC without targetable driver mutations. Patients with high PD-L1 expression may receive pembrolizumab monotherapy, while those with low or no PD-L1 expression should receive PD-(L)1 inhibitor in combination with chemotherapy. Based on results from these trials and the IMpower 150 trial, he indicated that addition of bevacizumab to the atezolizumab and carboplatin/nab-paclitaxel combination may have a potential role for patients with EGFR and ALK genomic alterations and those with liver metastases. Ann Oncol. 2018;29(Suppl 8): Abstract LBA53. Ann Oncol. 2018;29(Suppl 8): Abstract LBA54.